We are Chris Franses and Barbara Chainey, long-time friends in quilting. We quilt, we teach, we plan, we write, we design, we do a little bit of everything to do with patchwork and quilting. And we are prize procrastinators!! 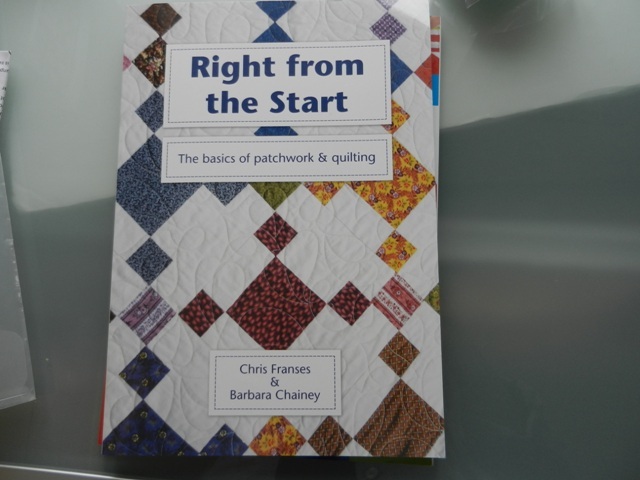 We’re both published authors and have written for the UK quilting press for a number of years – Chris has been Assistant Editor of Patchwork & Quilting magazine and continues to contribute a monthly Wandering the Web feature. In addition to our individual teaching and writing commitments we had great fun teaching together at a local village hall for 15 years. We’ve walked our dogs and bounced ideas off each other for more than three decades now – which is rather frightening! Chris has a science background, Barbara is non-science. Chris uses bright colours, Barbara seldom does. Chris is strictly a machine quilter, Barbara does both and is known nationally for her hand quilting. Nowadays Chris is often to be found teaching for our local quilt shop The Corner Patch. Barbara currently divides her time between our Rural Office and the Overseas Office and teaches at The Corner Patch when she can. Both of us are long-time Electric Quilt fans. Barbara started with EQ and Chris joined in with EQ2 – or was it EQ3? Anyway, we both use this great program to design and plan quilts, blocks, for teaching handouts, diagrams for articles and books. A lot of the time we just doodle with it, making on-screen quilts that will never get stitched but having a lot of creative fun all the same. We’ve given some of our doodles their own page on this blog and, one of these days, we may get around to actually making one or two of them! Over the years we’ve taught classes and done many demonstrations of this fabulous design program – Chris can sometimes be persuaded to leave home to come and teach EQ to your group! We’re told it has sold, and continues to sell, very well and is a favourite recommendation for beginners from a number of quilt shops. We’re thrilled! Chris is in charge of our sister blog Meadowside Designs where you’ll find patterns galore ranging from quick and easy to more complex Heritage Quilts and Quilts at your Feet based on the world-renowned Minton tiles. Happy to discuss things whenever suits you. Have still got my fingers crossed for Rex’s safe return home. Just arrived at your blog via pollyanna patchwork and spotted Mystery Mondays. I note fabric selection on 17th Jan so will tomorrow 24th Jan be the first instructions? Will I be able to start without all the fabrics? Will the instructions be available for the full 14 weeks in case I start late or will I need to save them from tomorrow? Where could I find the tangled star pattern….I love this block..